When the days are becoming shorter and sub-zero temperatures are on the horizon, vata increases. This can lead to certain physical and mental discomforts. There is no arguing that nature has its own set rhythm. This natural rhythm has its effect on us as humans. Even though modern times has made it less apparent, or we refuse to accept it, in the course of centuries we have adapted and become accustomed, which is why it influences us so. Wintertime affects vata and thus our mental well-being. Our doshas are dependent on the weather and their resulting temperatures. It is essential to retain balance when it comes to doshas, particularly so during the transition phases, when one dosha is being replaced by another. The imbalance often leads to problems. It is important to adjust our nutrition and habits accordingly. 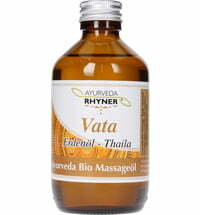 Vata is distinguished by the cold, dry and movable qualities. People who are dominated by vata often have problems with a slight imbalance in their constitution. Triggers are particularly cold, wet and dry weatehr. a roundabout of thoughts in one's head that do not come to come to an end, which can lead to long-term stress. Adjust your nutrition according to the colder season. Warm soups and wholesome food is a good start. Vata teas and vata churnas also are beneficial. Use regular oil massages to balance, relax and revive your body. They help reactivate the natural healing power of the body. Additionally, tummy massages and yoga also help during autumn and winter. Bright colours and insense, where they are incorporated into your make-up or home decor, can uplift the mood. 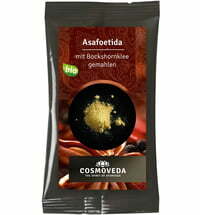 Rasayanas strengthen the immune system. This is also the case when it comes to high-energy gold or silver water.